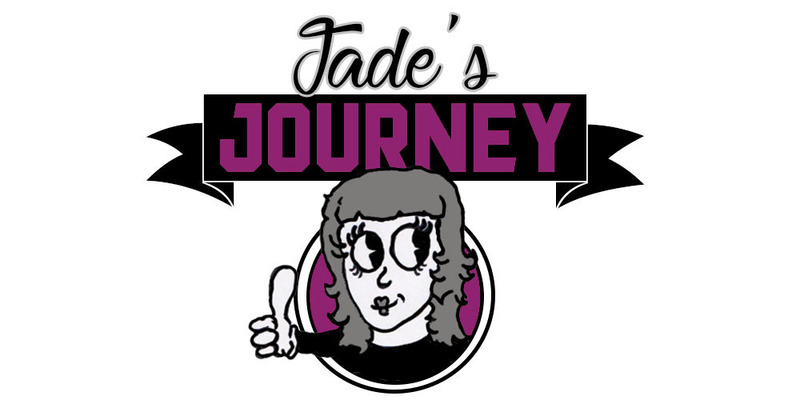 Jade's Journey: I did it!!!! It's Monday morning and I'm still tired but my legs aren't sore. 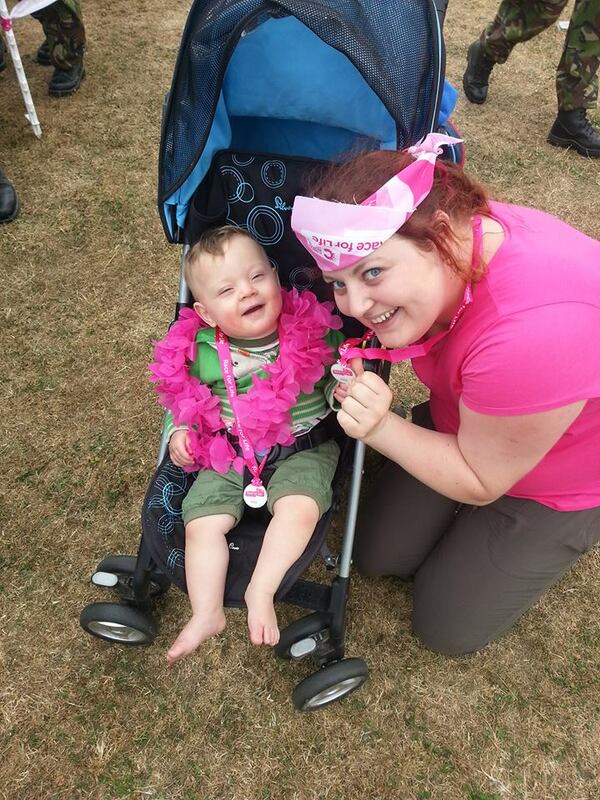 So yesterday I done the race for life in Pontefract, I had choose to do the 10k thinking it was just once round. I was wrong it was twice lol. I had noone to do the race with so I decided I would push Jared around in his buggy while doing it, how hard can that be?! Well it was hard. When I got there we joined the end that was for the walkers and I met a lovely lady called Dot who was taking her granddaughter round Farah (2) so we both had buggies to push round the track. We started talking and she made the same mistake as me and signed up for the 10k thinking it was just once round. I think if it wasn't for Dot I wouldn't of made it round a second time, you may be thinking it can't be hard and that I'm exaggerating but really I'm not. When you have a buggy and your walking on a flat surface its ok not too bad but when you have a buggy on uneven ground and you have to push it up hills and on slants plus damp grass it's not that easy. Safe to say I was sweating by the time I had done 3k. We kept spurring each other on and also the runners who passed us. 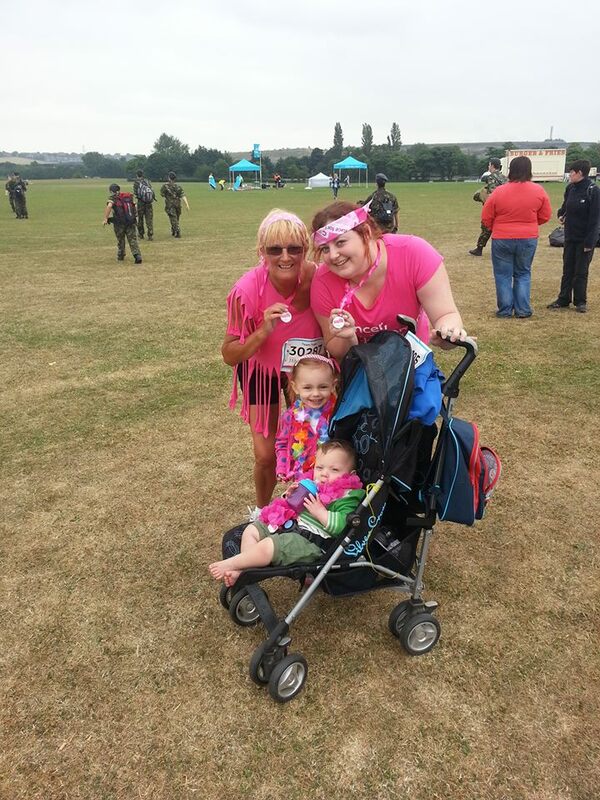 When we finished its was amazing we were last to complete the course so everyone lined up at the finish line, we took the kids out the buggies and ran the last stretch it took us 2 hours and 16 minuets. I don't mind that we came last because out of the 2000 people that took part there was only a handful (100 maybe) that done the 10k and out of them few I only saw 4 people walking including Dot and myself. Also we got an amazing finish which no one else got. If you would like to sponsor me you still can there is a button on my page that will take you straight to my online sponsor page, you can donate and it will go straight to them. I will just add that there is other races that you can take part in now to raise money, they have got a new race called pretty mudder I'm thinking of doing this next year. There is also one where the do it at night. Thank you for reading and if you have sponsored me or even signed up for a race after reading this then please let me know.